“TIER 1 [Thirty-one] countries whose governments fully comply with the Trafficking Victims Protection Act’s (TVPA) minimum standards. TIER 2 [Eighty-nine] countries whose governments do not fully comply with the TVPA’s minimum standards, but are making significant efforts to bring themselves into compliance with those standards. TIER 2 WATCH LIST [Forty-four] countries whose governments do not fully comply with the TVPA’s minimum standards, but are making significant efforts to bring themselves into compliance with those standards AND: a) The absolute number of victims of severe forms of trafficking is very significant or is significantly increasing; b) There is a failure to provide evidence of increasing efforts to combat severe forms of trafficking in persons from the previous year; or c) The determination that a country is making significant efforts to bring itself into compliance with minimum standards was based on commitments by the country to take additional future steps over the next year. Additional comments and responses to journalists’ questions were provided at the launch of this Report by Sarah Sewell, Under Secretary of State for Civilian Security, Democracy and Human Rights. She pointed out that “in this year’s report, some 18 countries moved up in the tier rankings, some 18 countries moved down in the tier rankings” and quoted the above statutory definitions of the different rankings. A Reuters investigation concluded that the State Department’s office responsible for the TIP reports was overruled by senior Department officials on 14 of the 18 upgrades, including Malaysia, Cuba, China, India, Uzbekistan and Mexico. The final decision on disputed rankings this year, said Reuters, was made in meetings attended by some of the State Department’s most senior diplomats, including Deputy Secretary of State Tony Blinken, Under Secretary of State for Political Affairs Wendy Sherman and Kerry’s Chief of Staff, Jonathan Finer. On August 6 that Committee held a hearing on this subject with Under Secretary Sewell as its sole witness. With only Chairman Corker, Ranking Member Cardin and Senator Menendez in attendance, most of the questions focused on the upgrade of Malaysia. Corker, for example, said, “The administration’s policies toward those countries trumped any real regard for humans being trafficked.” The Department, he continued, “threw the trafficking phase under the bus to ensure that . . . [the Administration was] successful with [the Trans-Pacific Partnership (TPP) that included Malaysia].”  Menendez added a few comments and questions about the Cuba upgrade. 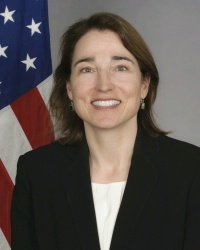 Sewell declined to answer questions about internal Department discussions about these upgrades and instead repeatedly emphasized that the statutory framework for tier rankings created a complex set of factors to be analyzed and that a Tier 2 Watch List ranking did not indicate a country had a great record on trafficking. At the conclusion of the hearing, Chair Corker said it had been the “most heartless, lacking of substance” presentation and that he and the two other Senators in attendance had the strong impression that inappropriate political considerations had influenced some or all of the tier upgrades. As a result, the Committee would be asking for the Department to produce records about its internal consideration of the tier rankings. Senator Cardin also said he was interested in exploring whether Congress should amend the relevant statutes in light of what a further hearing might disclose. I agree that the annual T.I.P. reports are important tools in combatting trafficking in persons and that these reports should be free of political influence. On the other hand, I believe that the relevant statutes appropriately create a complex set of factors that require analysis in reaching conclusions about placing countries in the different tiers and that it is appropriate for senior Department officials to be involved in that process. Second, the Report admits that there is conflicting information and allegations on the foreign medical mission work. Coercion is alleged by “some participants” and “other sources.” On the other hand, the Cuban government denies these allegations, and other participants “have stated the postings are voluntary and well paid compared to jobs within Cuba.” The Report also concedes there is conflicting information on whether other means, including withholding Cuban passports, are used to coerce or force participants to remain in the program. Third, there apparently has not been any fair adjudicative process to determine which of these conflicting sets of information is valid. Fourth, the accusation of forced labor for such participants has been rejected in a study by Indiana State University’s Emeritus Professor of International Politics and Latin America, Dr. H. Michael Erisman. He says, although there may be “some cases where . . . [Cuban medical professionals] are pressured into accepting overseas assignments, . . . most evidence indicates that the overwhelming majority are motivated by philosophical and/or pragmatic considerations. In the first instance, one needs to understand that the Cuban medical profession . . . is permeated by norms which stress self-sacrifice and service to the community, both at home and abroad. At the core of this ethos is the principle, which is firmly entrenched in the curriculum of the island’s medical schools and reinforced throughout one’s career, that health care should not be seen as a business driven by a profit motive, but rather as a human right that medical personnel have an unconditional duty to protect. Such convictions often underlie participation in the medical aid brigades. There are, however, also some pragmatic factors that can come into play. Overseas service could . . . help to further one’s professional aspirations and for some assignments the total remuneration involved is more generous than what is available back in Cuba. . . . [T]hese are the considerations which apply to the vast majority of people” in such programs, not involuntary servitude. Fifth, the Report does not cite to the relevant legal definition of “forced labor” to assess this claim. Most pertinent is Article 2(2) of the Forced Labour Convention, 1930, which states, in part, ”the term forced or compulsory labour shall not include . . . any work or service which forms part of the normal civic obligations of the citizens of a fully self-governing country.” (Emphasis added.) Cuba is a “fully self-governing country” and the participants in the foreign medical missions are Cuban “citizens,” and as Professor Erisman states, such participation is regarded as “part of the normal civic obligations” of such citizens with the appropriate medical qualifications. Sixth, relevant to this issue, but not mentioned in the Report, is the fact that medical education in Cuba (at the Latin American School of Medicine) is free. As a result requiring medical graduates to pay the country back by such participation seems entirely appropriate and may indeed be a contractual or quasi-contractual obligation. Indeed, as Professor Erisman reports, Cuban medical professionals, especially doctors, may apply to leave Cuba after they have obtained their free medical education and thereafter provided three to five years of service in the country. We now await the Committee’s formal request for Department documents, the production of such documents and additional hearings on the subject. In the meantime, as always, I welcome comments of correction or amplification. A prior post examined in detail the prior human trafficking report about Cuba. Reuters, U.S. Softens View of Malaysia, Cuba in Human Trafficking Report, N.Y. Times (July 27, 2015); Reuters, Obama Administration Faces Criticism Over Human Trafficking Report, N.Y. Times (Aug. 3, 2015); Editorial: Obama Administration Ignores Malaysia’s Trafficking Record, N. Y. Times (July 31, 2015); Menendez, Press Release: Sen. Menendez on Human Trafficking Report Politicization (July 27, 2015); Rubio, Press Release: Rubio: State Department’s Human Trafficking Report Should Be Based on Reality Not Politics (July 27, 2015). 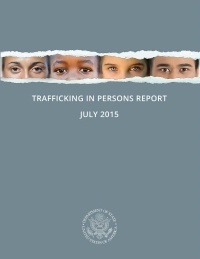 Reuters, Special Report-U.S. State Department Watered Down Human Trafficking Report, N.Y. Times (Aug. 3, 2015). Reuters, Lawmakers Want State Briefing on Trafficking Report, N.Y. Times (July 29, 2015); U.S. Sen. Foreign Relations Comm., Press Release: Senators Cardin and Corker Request Briefing on State Department’s Trafficking in Person Report in Letter to Secretary Kerry (July 29, 2015); Reuters, Lawmakers to Demand Full Accounting on Human Trafficking Report, N.Y. Times (Aug. 4, 2015). Senate Foreign Relations Comm., Review of the 2015 Trafficking in Persons Report (Aug. 6, 2015); Hattem, Senators accuse State Dept. of picking politics over human trafficking, The Hill (Aug. 6, 2015); Reuters, Top Senator Demands State Department Documents on Human Trafficking Report, N.Y. Times (Aug. 6, 2015); Assoc. Press, Senators Demand Documents Over Malaysia Trafficking Upgrade, N.Y. Times (Aug. 6, 2015); Corker, Corker Fears Politicization of State Department’s 2015 Human Trafficking Report Over Questionable Upgrades (Aug. 2015); Cardin, Senator Cardin Statement Regarding 2015 Human Trafficking Report (Aug. 6, 2015). Sarah Sewell, Testimony to Senate Foreign Relations Committee (Aug. 6, 2015). Secretary of State Kerry, who was in Malaysia on the day of the hearing, categorically denied that politics had played any role in the ranking of Malaysia. “I personally signed off on it. And I had zero conversation with anybody in the administration about the Trans-Pacific Partnership relative to this decision — zero. The reason I made this decision was based on the recommendation of my team, because Malaysia has passed additional legislation in 2014, they’ve consulted with civil society, they drafted amendments to Malaysia’s anti-trafficking law in order to allow the country’s flawed victim protection regime to change.” (Assoc. Press, Kerry: Malaysia Trafficking Upgrade Not Due to Trade Talks, N.Y. Times (Aug. 6, 2015); Reuters, Kerry Says ‘Zero Communication’ on Trade Pact and Malaysian Trafficking Record, N.Y. Times (Aug. 6, 2015). The text of the U.S. statutes regarding trafficking in persons is set forth on a State Department web page and the Report contains a summary of “forced labor” without any mention of the exceptions to the definition discussed below. Erisman, Brain Drain Politics: the Cuban Medical Professional Parole Programme, Int’l J. Cuban Studies 269, 286-87 (2012). This and other parts of the definition of “forced or compulsory labour” were reaffirmed in Article 1(3) of the Protocol of 2014 to the Forced Labour Convention, 1930.